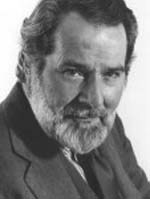 Alexander Scourby is best known for his Bible Recordings and audio-book narration. He appeared in films and stage. Alexander Scourgy looks like the world's most interesting man. "Stay thirsty my friends."